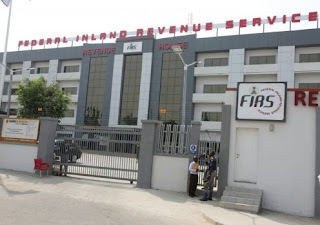 The Federal Inland Revenue Service (FIRS) has disclosed that the agency remitted about N4.63 trillion to account of the Federation between January and November this year, according to the revenue collection figures submitted to the Federal Ministry of Finance. The document was presented during the Federation Account Allocation Committee (FAAC) meeting held in Abuja. The document revealed that the figure is about 72.6 per cent of the projected cumulative revenue collection by the FIRS in the 2018 budget. 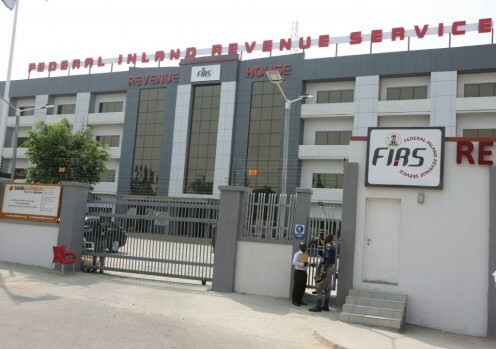 An analysis of the revenue collections by the FIRS showed accruals were from three major tax streams. they are: Petroleum Profit Tax (PPT), Companies Income Tax (CIT) and Value Added Tax (VAT). The document also shows that about N2.3 trillion was realized from PPT and N1.31 trillion came from CIT, while a total N1.01 trillion was gotten through VAT, which consists of N776.5 billion from non-import VAT and N230.8billion from import VAT. Details of the monthly revenue earnings showed about N353.3 billion was remitted in January; N450.5 billion in February; N319.1 billion in March; N428.44 billion in April and N384.9 billion in May. About N457.57 billion was remitted in June, N408.93 billion in July, N492.6 billion in August, N370.5 billion in September, N473.7 billion in October and N485.5 billion in November. Further details showed that about N1.76 trillion came from foreign PPT receipts, while N543.3 billion came from local PPT receipts for the 11 months. Another document presented to the FACC by the FIRS showed the federal government has so far received about N47.5 billion as at December 17, 2018. while about N24.3 billion is still outstanding from various tax defaulters who took advantage of the tax amnesty period to update their status. The breakdown of the figures shows that out of about $159.3 million outstanding principal, about $106.3 million was received by the government, while payment for the entire £171,380 and CHF6,111 were received during the period. The FAAC, led by acting Minister of finance Zainab Ahmed, as Chairman, consists of the Commissioners of Finance from the 36 states of the federation and the Accountant General of the Federation, Ahmed Idris. Other members include representatives of the revenue agencies, including the Nigerian National Petroleum Corporation (NNPC), Nigeria Customs Service (NCS), Department of Petroleum Resources (DPR), FIRS, Revenue Mobilisation, Allocation and Fiscal Commission (RMAFC), Central Bank of Nigeria (CBN), Nigerian Extractive Industries Transparency Initiative (NEITI) and the Petroleum Products Pricing Regulatory Agency (PPPRA).